For your entrepreneurship experience, you will be working directly alongside me (the Managing Director and Founder of Maple & Co, Finalist for the NatWest Asian Women Achievement Awards, Presenter on Channel 4’s Sunday Brunch and columnist for What’s Cooking Magazine and Men’s Health Magazine) to support and manage all aspects of a rapidly growing food/ wellness start up. As part of your work experience, I will mentor you 1:1 for a minimum of 1 hour a week to explore your future plans and connect you with other potential partners, investors and clients. You will get exposure and experience in supporting Maple & Co, one of the UK StartUps Top 100 businesses, which includes raising capital, creating and improving operations, driving sales and marketing, hiring and managing management roles, managing reporting and profit and loss as well as building our brand and press activity. 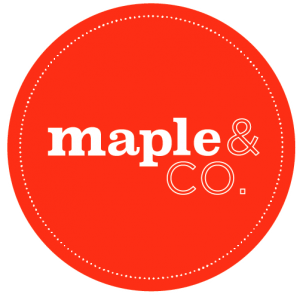 With one eatery, Maple & Co was valued at over £1.1M in 2016. Since then we have opened two more shops with a potential fourth opening in the next year. I am committed to helping you get as much out of this opportunity as you put into it. Please let me know if you are interested in this opportunity and email me with your CV and a covering letter to adria@mapleandfitz.com.